Folks & DeVenny is a general practice law firm with emphasis in real estate law, personal injury, probate law, family law, business law, criminal/traffic law. Our firm delivers complete legal services to its clients. We focus on meeting client needs through competent, ethical legal representation. Our partners have 41 and 26 years of experience, respectively, in general practice. All serve on boards or as counsel to local community groups and non-profits. History/Overview Originating in 1977 when two local firms merged, Folks & DeVenny has continued to operate from the same building in downtown Lancaster. More important than the bricks and mortar are the firm's core values: devotion to clients, dedication to profession, and service to community. Clients can be assured that these values are the bedrock of the firm, both today and in the future. Folks & DeVenny represents individuals, businesses, and non-profits from Lancaster and surrounding areas. Our firm's attorneys and staff members deliver first-rate legal services to clients across a full range of practice areas. Attorneys in the firm are approved for title services by all major banks and lending institutions in the region. Catawba Title Agency, Inc., owned and operated by the firm, offers title insurance through Chicago Title Insurance Co. The attorneys in the firm are approved for all major national and regional title insurance companies. Community Service The attorneys and staff members of Folks & DeVenny are residents of Lancaster and surrounding communities. Giving back to neighbors in the form of service is a core value of the firm. Our attorneys and staff members are active in local government, non-profits, schools, and churches. Attorneys at the firm also regard pro bono clients the same as any other--with dignity and a dedicated focus on the client's legal needs. Some of the local government and non-profit organizations in which our attorneys hold office or regularly participate are: J. Marion Sims Foundation, Lancaster County Partners for Youth, Lancaster County Community Foundation, Lancaster Rotary Clubs, The University of South Carolina at Lancaster, and Lancaster Fatherhood Project. Real estate law relates to property, land and buildings, trees and crops, and other resources within a parcel of land or attached to land. A resident of Lancaster since childhood, Robert is a graduate of the University of South Carolina (Phi Beta Kappa) and the University of South Carolina School of Law (South Carolina Law Review). He was admitted to the South Carolina Bar in 1973 and has practiced continuously since then in his hometown. Robert served on the Lancaster County School Board from 1988 to 2004, including 10 years as chairman. He serves as trustee for the J. Marion Sims Foundation and the Thornwell Home for Children in Clinton, SC. Robert focuses his practice in the following areas: Real Estate: Sales/Home Loans/Refinance/Deeds; Commercial Transactions; Commercial Real Estate; Mortgages; Business Law; Probate Law; Wills/Estates/Trusts/Deeds of Distribution/Guardianship and Conservatorship. Robert's wife Betsy, is a retired teacher in the gifted and talented programs of the Lancaster County School District. They have two children, both of whom are graduates of Presbyterian College. A native South Carolinian, Alston has lived and worked in Lancaster since 1988. He is a Furman University graduate (Member, Omicron Delta Kappa) and a graduate of the University of South Carolina School of Law. 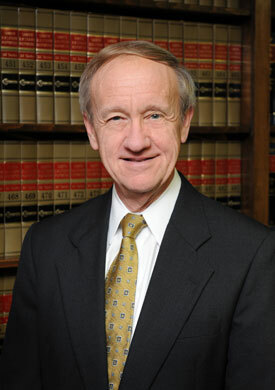 Alston was admitted to the South Carolina Bar in 1988. 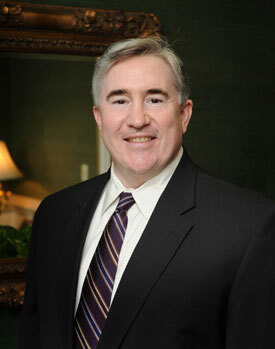 Alston focuses his practice in the following areas: General Practice; Civil Litigation; Criminal Law; Traffic Violations/DUI's; Personal Injury; Motor Vehicle Accidents and Injuries; Workers Compensation; Family Law; Domestic Relations; Divorce; Separation; Agreements; Insurance; Torts; Probate Law: Wills/Estates/Trusts/Deeds of Distribution/Guardianship and Conservatorship; Business Organizations. Alston was elected and served on Lancaster County Council from 1998-2006, and served as chairman from 2005-2006. Alston and wife, Susan, are the parents of four children and are active in their public school activities. Susan is state executive director of South Carolina First Steps to School Readiness. Their son, Miller, an Eagle Scout, attends Furman University.